What is a micellar casein? 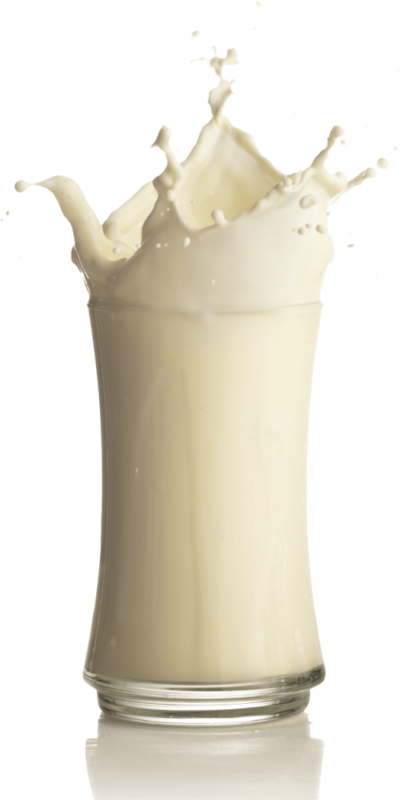 Micellar casein is a protein found in milk. The difference with a total milk protein is its casein content. In fact, milk protein’s constituent ratio is 80:20 (micellar casein:whey) whereas micellar casein’s one is 92:8 (micellar casein:whey). This difference in composition gives micellar casein distinct functional and nutritional benefits. Furthermore, micellar caseins make it possible to reach a pleasant milky taste in the products in which it is used. However, it is important to not confuse micellar casein with caseinate. 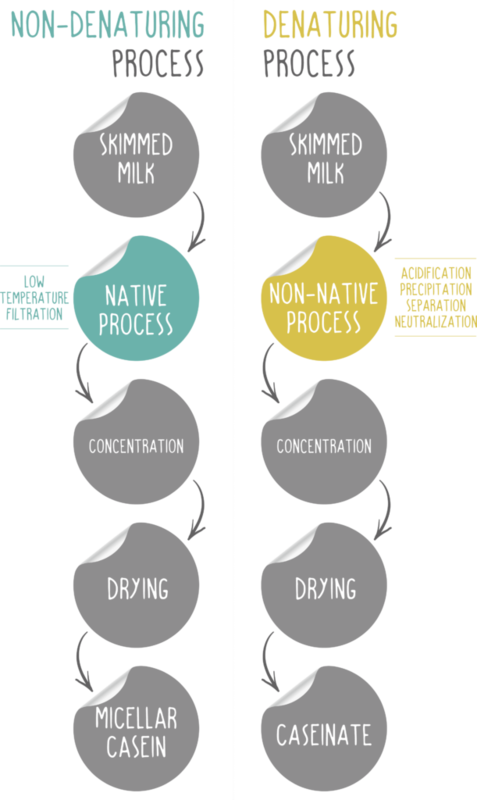 Micellar caseins are the result of a non-denaturing mechanical process (membrane filtration), as opposed to caseinates which are the result of a denaturing chemical process. This gives micellar casein unique properties making it a great fit for nutrition markets. • Rich in branched-chain amino acids including leucine to optimize muscle synthesis. • Slow absorption proteins: Several scientific studies were conducted to study the different digestion rates of milk proteins (micellar casein and whey). The main difference observed between micellar casein and whey protein is the digestion speed. Whey proteins are quickly absorbed (about 2h) whereas micellar casein take longer to be digested (up to 7h), which thereby enhances muscle recovery. Micellar caseins offer many functional properties, which is why you will find them in a lot of products: powdered protein drinks to rehydrate, Ready-To-Drink beverages, etc. Micellar caseins’ heat treatment stability allows to formulate heat-stable RTD beverages. It makes them convenient to carry around and drink at any time throughout the day. Micellar casein: a protein suited to the different stages of life! With numerous nutritional properties and benefits, micellar casein adapts to various stages of life to fulfill various needs.